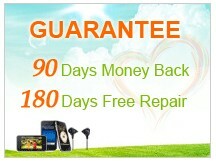 If you want to buy electronics from China, focalprice will be your best choice. The lowest price because of free shipping, the most products such as iPhone, Cameras, Cell Phones, Video Games Accessories,etc. Focalprice.com may not be considered as the best China Drop Shipping Wholesaler, but I’m sure they are legitimate company. My friend in Bahrain told me that he have a sideline job and earning some cash by ordering and getting free items in one China Wholesale Store. I was intrigued on how he does it and how he gets this “free items”. So he told me about Focalprice and being an online buyer like him, I need to know the details of this company. 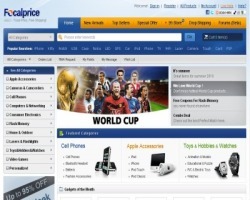 When I check the website of Focalprice, the concept is much the same as Dealextreme – CHEAP Products and FREE Shipping. If you order in Focalprice under $20 your item will be sent via Standard Airmail and if the order is above $20, your items will be sent via Registered Mail with tracking number (preferred). The array of products of Focalprice is almost the same as Dealextreme. They sell small gadgets like accessories,mp3 accessories,unlocked cell phones,stereo speakers,wholesale watches,cheap cell phones,electronic component,itouch accessories and china cell phones. One thing that amazed me with this website is that they have this ‘DROP SHIPPING ZONE’ and as for information I’m also an Occasional Dropshipper. Another thing that I like about this website is even though their prices are already low; you will get 1.8% off in the total amount that you purchased thru ‘DROP SHIPPING’. Consider that this discount may not be a “Big Amount” but discount is a discount, nothing will be nicer than that. I made my order March 3, 2010 and received it March 19, 2010 considering that I’m here in Saudi Arabia and like my Dealextreme Experience again, two items were out of stock, meaning I have to wait again until they have the stocks of my order and meaning I will pay again to Saudi Post office. You know I’m considerate about this situation, just think about this; they are a Drop Shipping Wholesaler Website, naturally many people will order in them and sometimes in BULK. Then eventually the items that you order will be out of stock in no time. Well, I did order a popular product so it is not a surprise in my part. Besides, their customer service is very attentive. They informed me right away about the status of my order, telling me that I could get a refund or just wait until they will have my order in their inventory. Knowing these two options, I choose the third option. I just replace my order by other items. One thing I also noticed about Focalprice is that they seem much faster in dispatching the items than Dealextreme, because before in Dealextreme they send my order 5 days after my payment unlike to Focalprice that took only 2 days. The products they are selling are non-brands but very noticeable they are copies of some popular Brands (see my articles about selling Brand Name in China). Don’t be disappointed because you are expecting like what you imagined. Keep always in mind that “You Get What You Pay For”. Make sure that you take much attention on the feedbacks of the former customers that bought those products (if the reviews are available). There are many people always complaining about ‘USED’ goods, keep in mind that most of the countries; if the items came from CHINA especially the goods that are labeled as a “gift” are most commonly checked by CUSTOMS, and for my experience working in logistics. These items will be boxed – out and don’t repackage the items properly. So if you can’t live with those facts. I recommend that don’t order overseas. Any legitimate China Drop Shipping Wholesalers definitely have no intention to sell BAD products. Mostly it is the manufacturer’s fault. The manufacturer gives a QUALITY SAMPLE PRODUCT to the seller rather than the original ones that they sell. DID YOU FIND THE FOCALPRICE REVIEW HELPFUL?